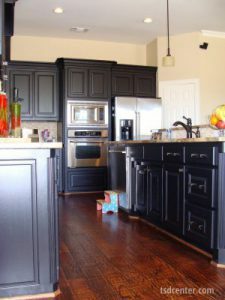 Do you wish to expand the square footage of your kitchen at your Richardson, Texas, home? Or perhaps you want to upgrade your cabinetry and have a kitchen island installed. For a custom kitchen makeover, turn to the reliable experts at Star Home Remodeling. We have been part of the home remodeling industry since 2007 and are committed to providing our customers with five-star customer service. As a full-service home remodeling company, we are able to complete every aspect of your kitchen renovation. This includes meeting with you for a design consultation at our showroom or your home to learn all about the vision you have for your kitchen. During this time, we’ll also present you with the different services and products we offer so that you have all the information you need to make informed decisions. Additionally, we’ll be totally upfront about all of the related costs so that you are able to stay within your budget from the very beginning of your project. We’ll then create a gorgeous and unique kitchen design for you, collect all required permits for the project, handle all construction work, and install all the new products you’ve chosen to incorporate into the design. And, rest assured that when you turn to Star Home Remodeling for your kitchen makeover, you can count on our team to provide you with the perfect products for your renovated space. From stunning countertops to masterfully crafted cabinetry, we can supply you with it all. To learn more about the kitchen makeover we can complete at your Richardson, TX, home, contact Star Home Remodeling today. We’ll be delighted to answer any questions you have and speak with you further about the impressive products and services we offer.